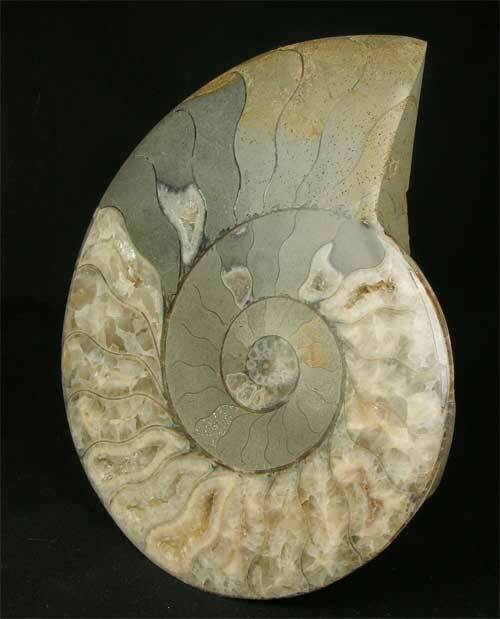 This very large and stunning ammonite half has been ground gem smooth and a professional polish applied to reveal the ammonites inner chambers. The colours range from greys to shades of whites and creams. 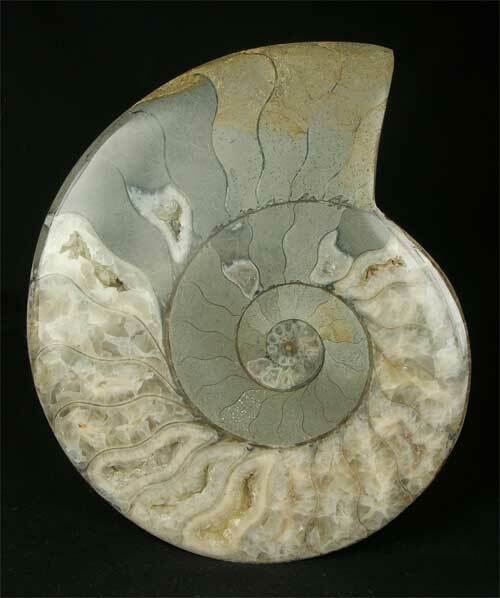 Ammonites of this size and quality from Clatcombe are very rare indeed especially cut and polished ones such as this. 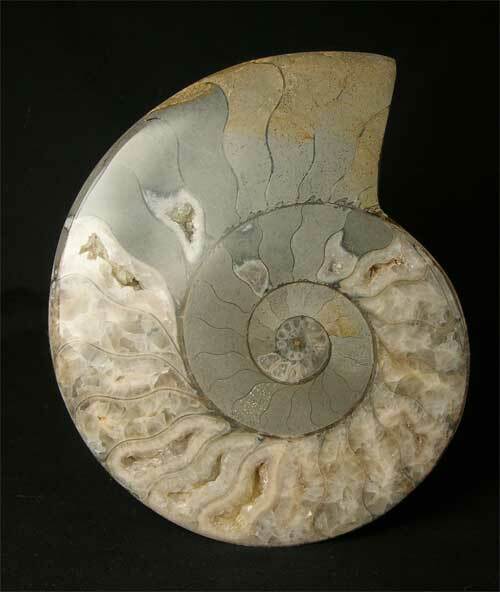 This unique fossil would make a wonderful gift idea for either the home or office space. Approximately 170 million years old.